This article appeared on CNN this week and discusses a new study which further discloses the risks of untreated OSA. However, as I have demonstrated I have to do, I would like to point out the inaccuracies in the media. 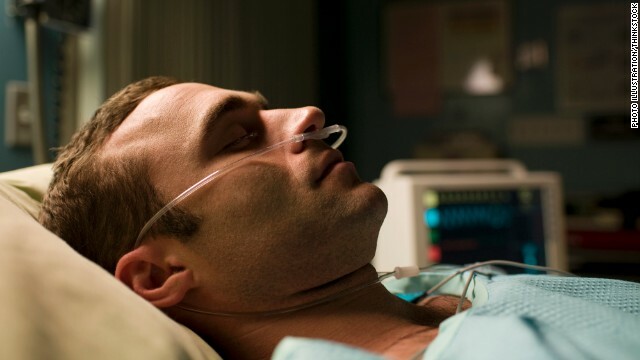 While this is a fine stock photo, it shows a presumed patient lying quite comfortably in bed with a O2 cannula on for oxygen. Obstructive sleep apnea (OSA) is the cessation of breathing from a blockage of the airway while asleep. If he’s not breathing, it doesn’t matter how much oxygen is blowing through his little canula, he’s not getting any oxygen exchange. In other words, a canula is in no way a treatment for OSA. OSA is a potentially dangerous condition if left untreated. It’s long been known that OSA increases the risk of stroke. This story documents another piece of evidence to support that claim. If you snore, there’s a 30% chance you have OSA. If you think you may have OSA, get checked out, but don’t go and get a nasal canula–it’s not going to help.